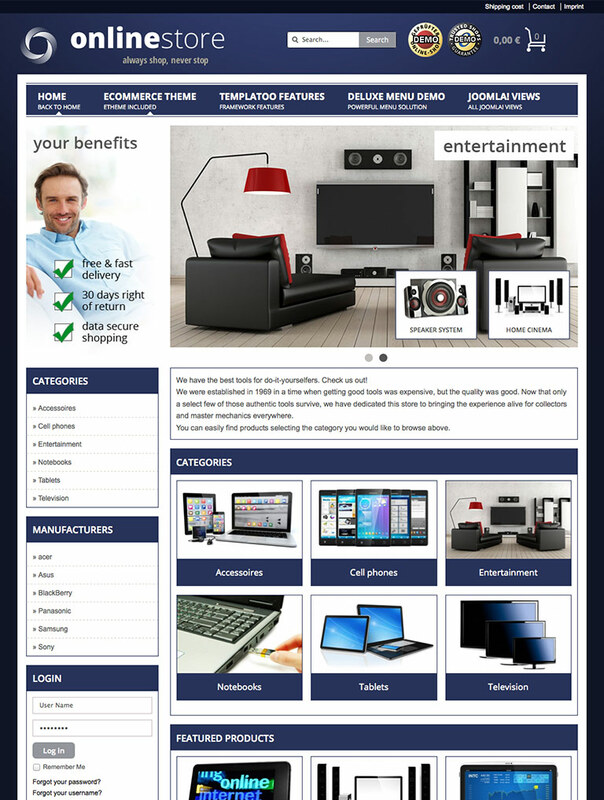 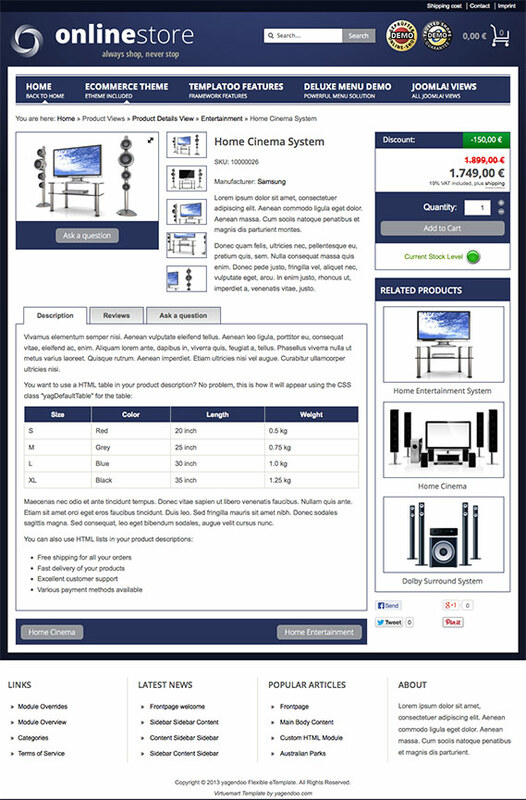 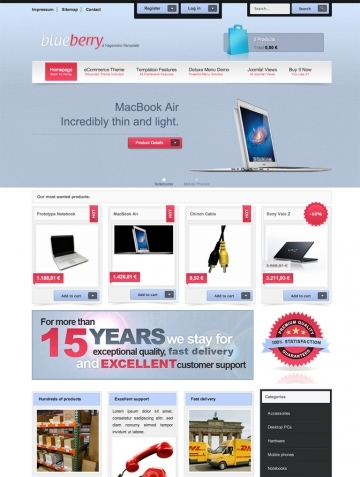 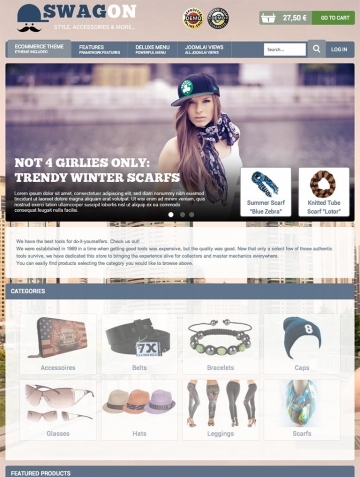 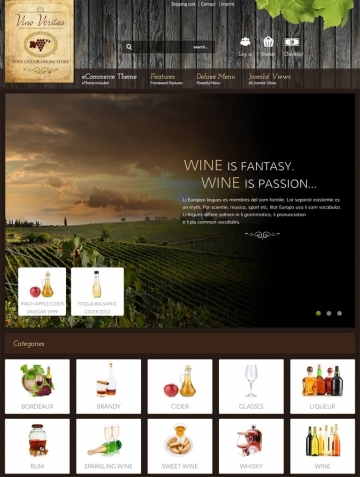 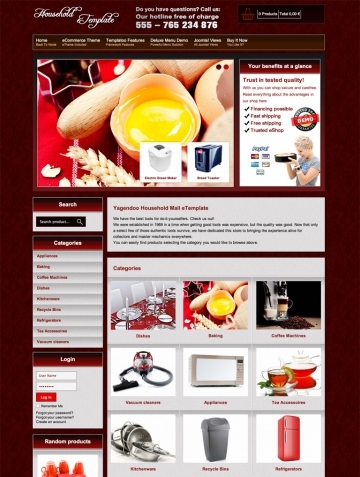 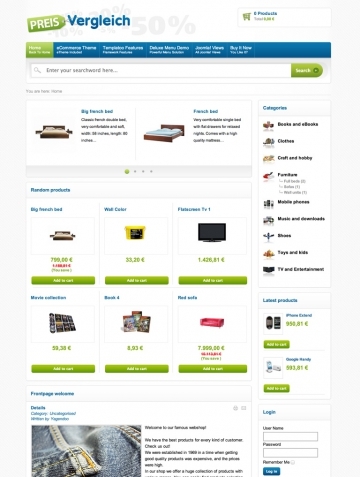 The 'Yagendoo Flexible VT' Virtuemart template is compatible with all kinds of online shop. 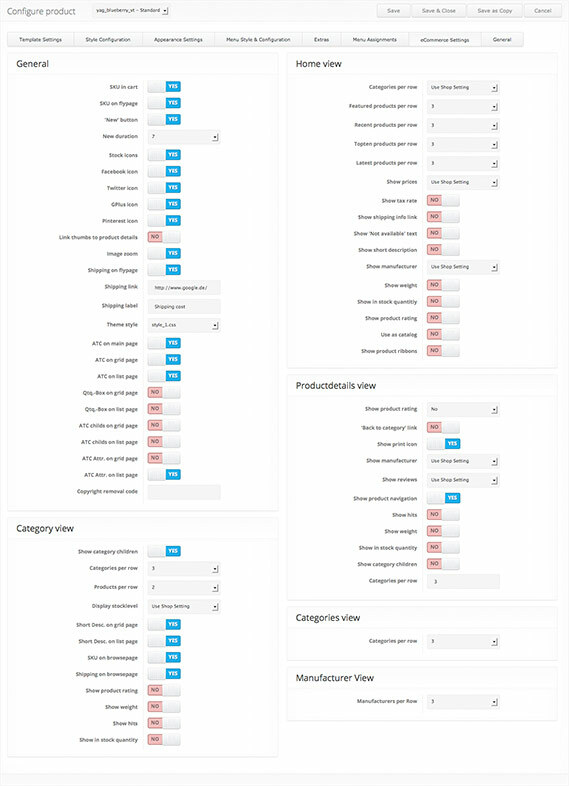 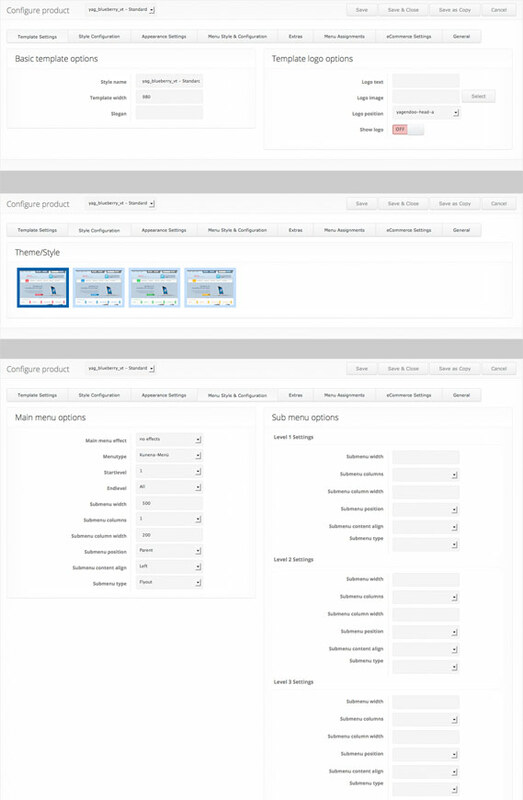 It features eight pre-set colour styles as standard which can easily be changed using the settings. 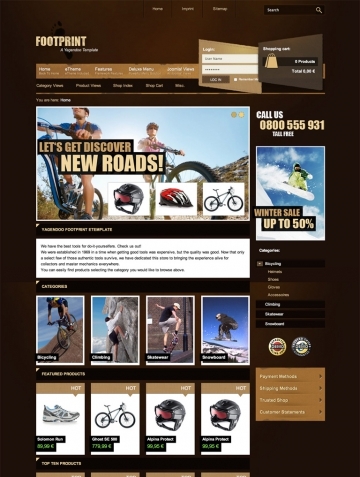 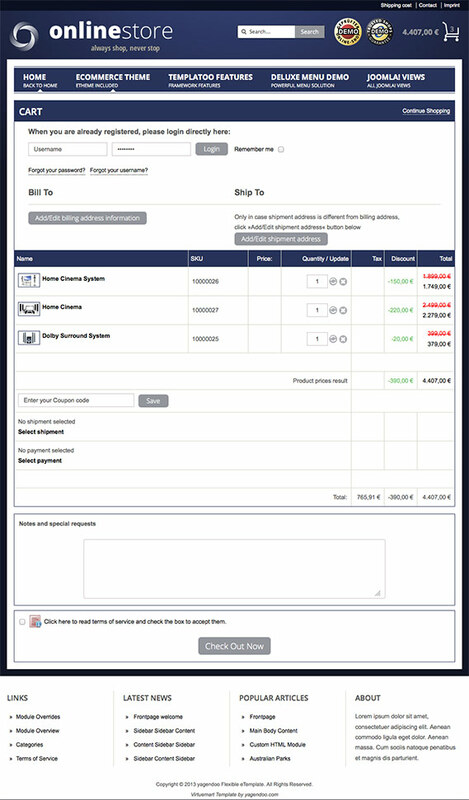 Your customers will easily find their way around the shop thanks to its simple, clear structure. 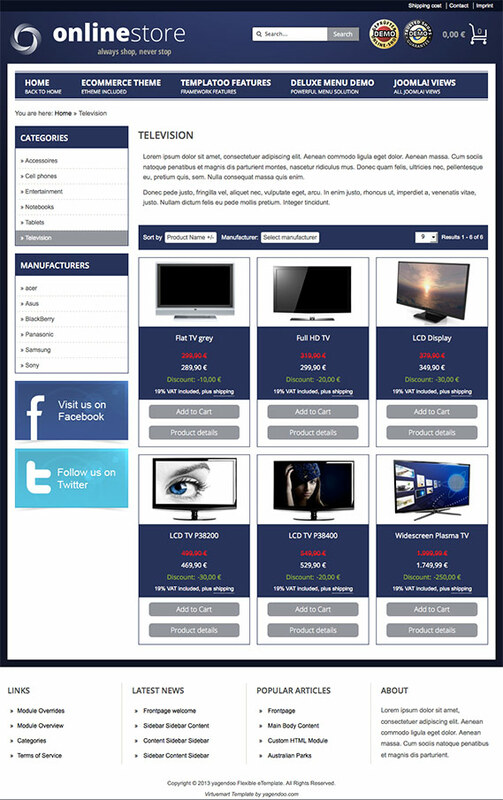 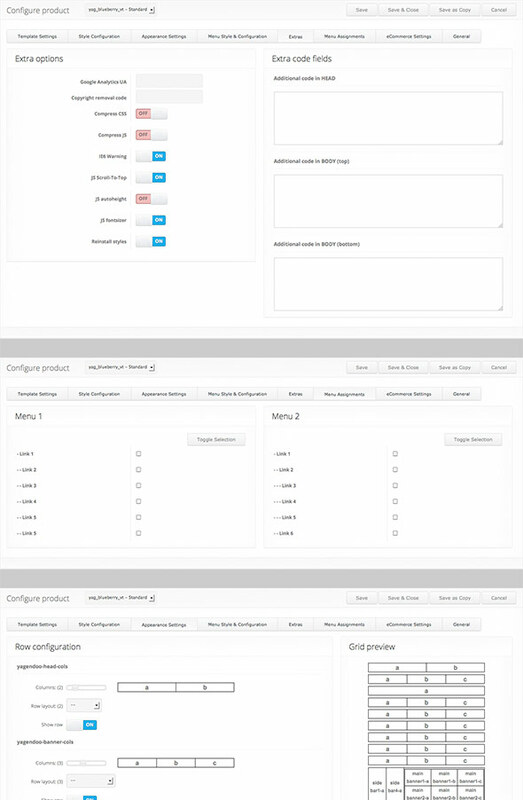 Naturally, the 'Yagendoo Flexible VT' Virtuemart template is also optimised and responsive for mobile devices.